Blanchot (upper right), Lévinas (middle), and friends, ca. 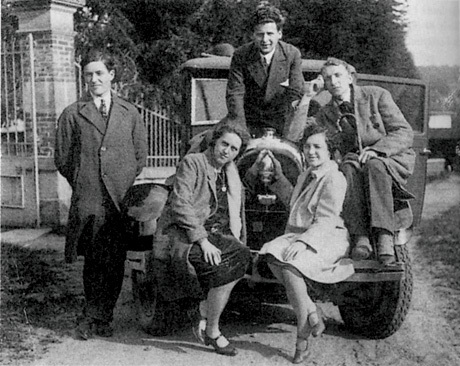 1925, on their way to dine at the home of Charles Blondel, professor of psychology at the University of Strasbourg where Blanchot and Lévinas were enrolled. ~ Maurice Blanchot, La Part du Feu, Gallimard 1949, p.311.